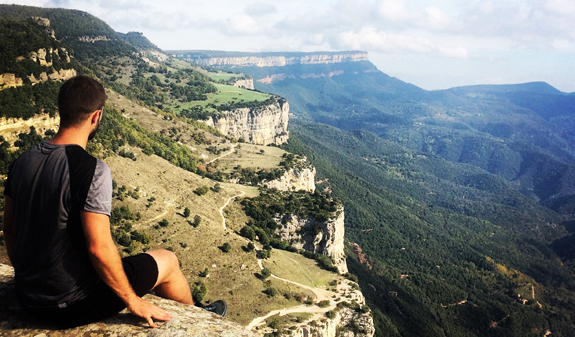 Near Barcelona there are countless options for hiking and discovering sites of outstanding natural beauty and cultural significance. 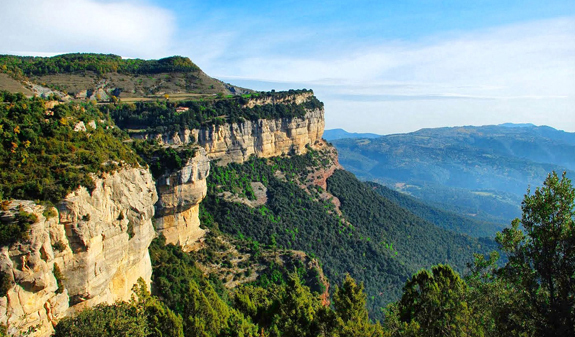 A healthy way of enjoying the hidden corners of Catalonia. 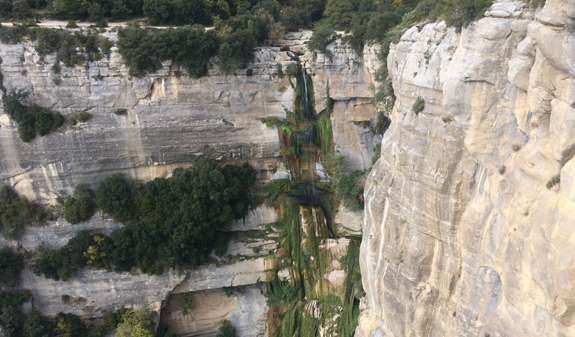 Trail 1 - Hiking in the volcanic area of La Garrotxa and visit to Besalú: A hike through the ancient beech forest, the Fageda d'en Jordà, the only one of its kind in the region, followed by a visit to the volcanoes of Santa Margarida and Croscat with their unique landscapes. 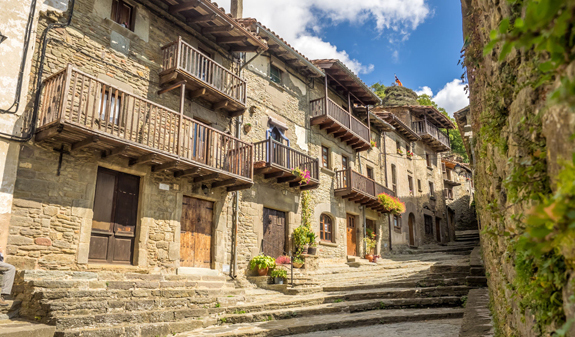 We'll stop for lunch at a local restaurant and, in the afternoon, visit the clifftop village of Castellfollit de la Roca and the medieval town of Besalú. Trail 2 - Hiking along the Costa Brava coastal path and a visit to Tossa de Mar: A walk along the coastal path with its superb views of the coves, and time for a swim if the weather is fine. When we arrive in Tossa de Mar we'll have lunch at a local restaurant. In the afternoon we'll visit the town and Sant Joan castle. 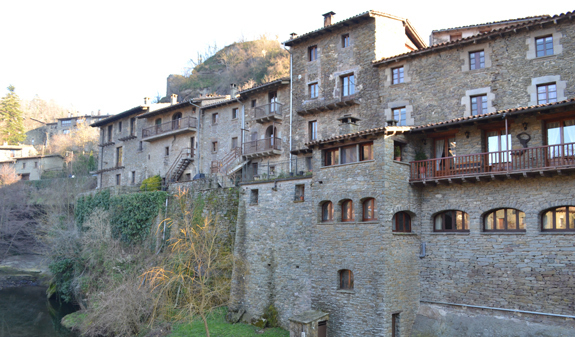 Trail 3 - Hiking along the Cingleres del Collsacabra and visit to Rupit: A circular route from Rupit to its woodland, streams, waterfalls and amazing mountain peaks. On the way back, we'll stop for dinner at a local restaurant and, in the afternoon, visit the perfectly preserved medieval village of Rupit, which is one of the prettiest in Catalonia. Times: departure at 8.30am, setting off back around 6pm. 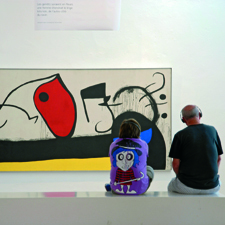 Language: multilingual, Catalan, Spanish and English. Duration: 9 h. 30 min. Meeting point: Passeig de Gràcia 26 (in front of the restaurant "el Nacional"). Metro L2/L3/L4, Passeig de Gràcia station. 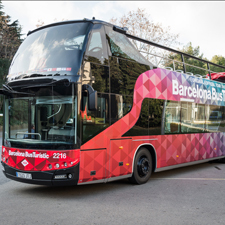 Buses: 22, 24, 7 and V15. The activity involves moderate walking. Please specify if anyone in your party has food intolerances: reservas@barcelonaturisme.com.